Advisor analyzes the readings of the indicator Stochastic has, signal for buying is the intersection of the main and signal indicator lines in the oversold zone, a signal for the intersection of sales is the main indicator and signal lines in the overbought zone. "The idea of the EA was taken from the different versions of the Dealers_Trader (for which many thanks to the author), when the stochastic enters the overbought or oversold area, the first lot is opened, if the chart is reversed, then operate with one lot." 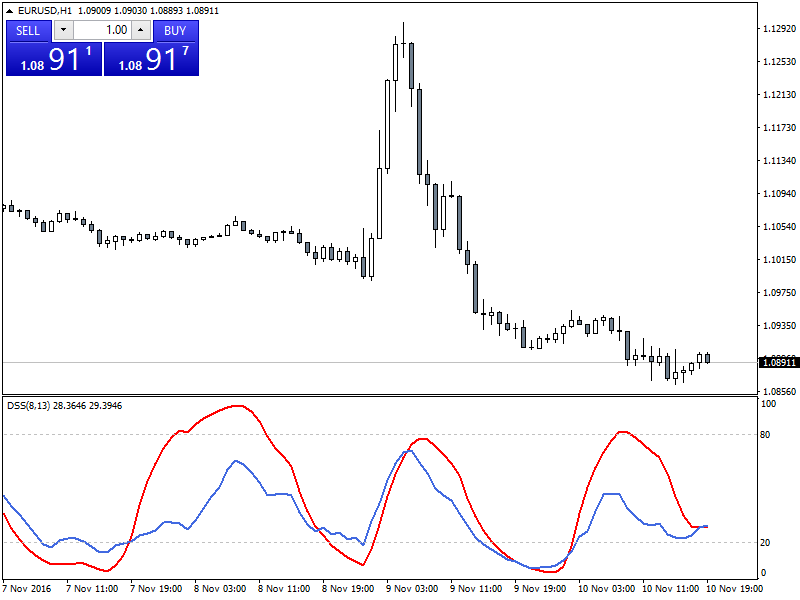 UniStochRSI Adaptive_v1.1 600+ indicator is on this post. 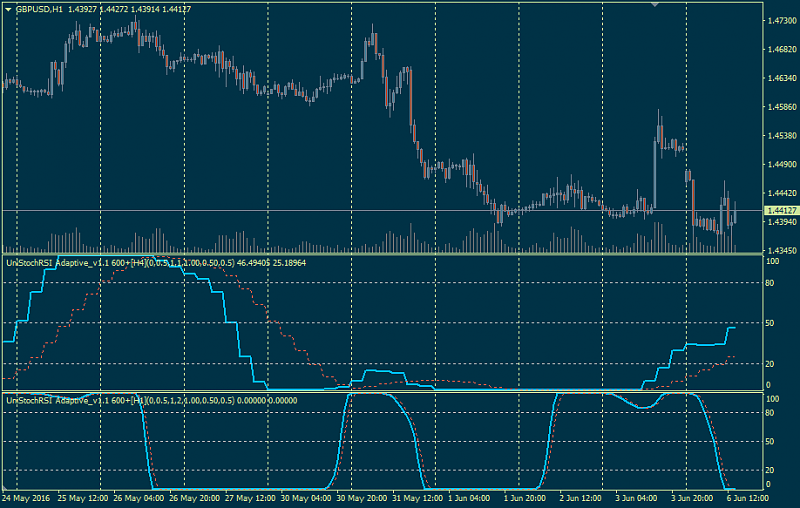 This is the UniStochRSI Adaptive indicator where the RSI/Stoch lengths are a function of the Cyber Period. 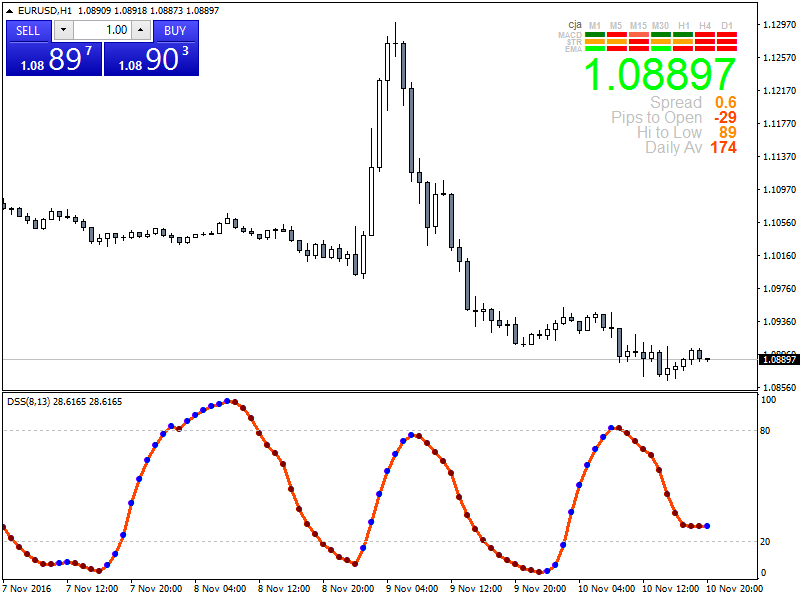 The version works with Metatrader 4 build 600 and above. 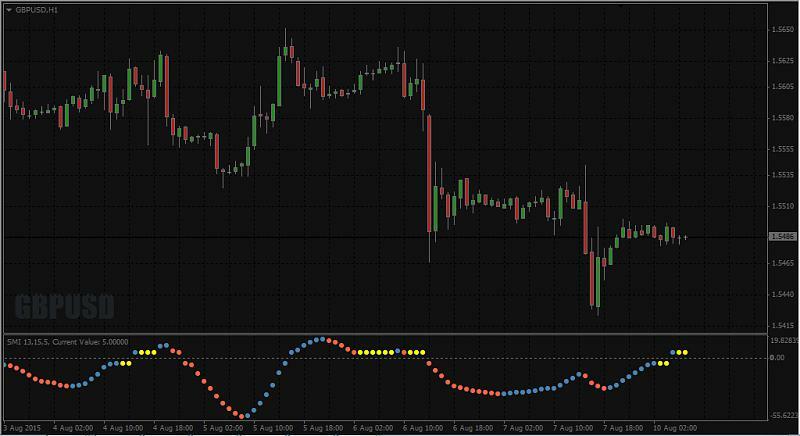 "StochPosition is an indicator for MetaTrader 4 based on Stochastic Indicator, which shows the position and direction of Stochastic in M5 timeframe up to W1 timeframe. 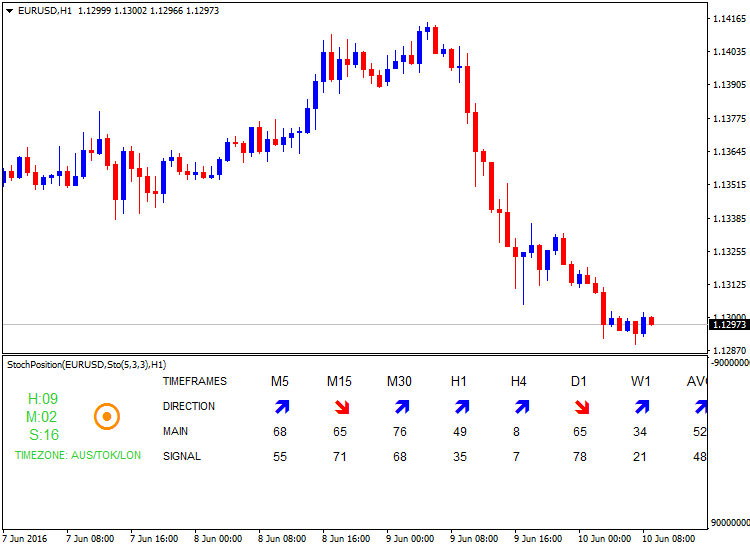 In addition, StochPosition indicator also provides direction and advice to BUY or SELL, and every change of direction and advice is also displayed as alerts." Indicator is having all kinds of alerts incl email alert. Double Smoothed Stochastics - DSS Bressert is an oscillator, which was presented by William Blau and Walter Bressert briefly in two slightly different versions in succession. The calculation of DSS Bressert values is similar to Stochastic indicator, the difference is in the use of double exponential smoothing. The advantage over the classical Stochastic oscillators is the speed in response to price changes in a still very uniform flow pattern. Furthermore, the extreme zones on the other end of the scale are achieved even in strong trending quite often resulting in many trend compliant signals. Double Smoothed Stochastics - DSS Bressert values are the same as for Stochastic - the values above 80 indicate the overbought state of the market, the values below 20 indicate the oversold market state.